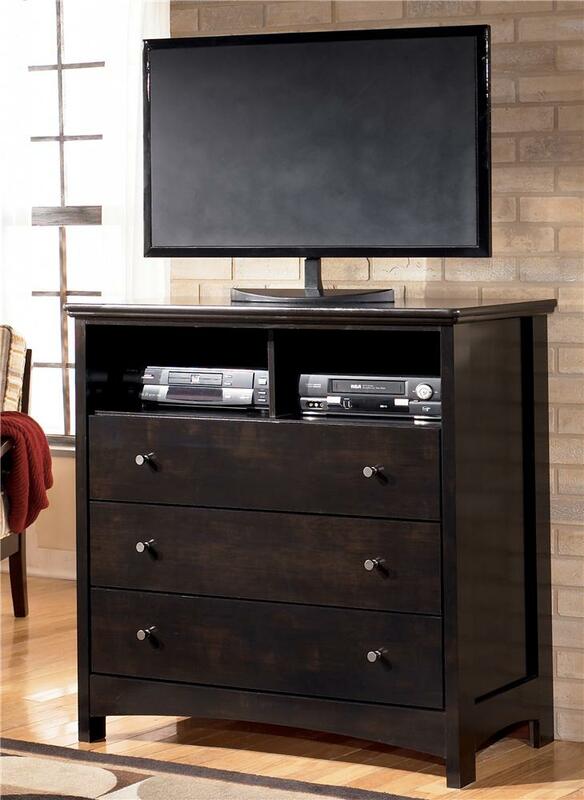 Made for the household that wants functionality and style, this media chest is both. With its three drawers and two shelves, it can house all that you want it to; DVD player, video game console, DVDs, whatever you want! In addition, it is housed in a beautiful chest which encompasses an indescribable casual elegance, with its deep color and rough finish, its beautiful hardware and amazing carvings. The Harmony Three Drawer, Two Shelf Media Chest by Signature Design by Ashley from Nashco Furniture - Nashville. We proudly serve the Nashville, Franklin, Brentwood, Clarksville, Green Hills, Davidson County, Williamson County, Tennessee area. Product availability may vary. Contact us for the most current availability on this product. Case Construction Post framed side construction. The Harmony collection is a great option if you are looking for Contemporary furniture in the Nashville, Franklin, Brentwood, Clarksville, Green Hills, Davidson County, Williamson County, Tennessee area. 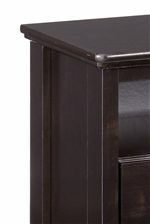 Browse other items in the Harmony collection from Nashco Furniture - Nashville in the Nashville, Franklin, Brentwood, Clarksville, Green Hills, Davidson County, Williamson County, Tennessee area.